The IMA is the premier institute for interdisciplinary mathematical research. Its influence and scope are widespread and deep, and its reputation is unparalleled. The IMA facilitates groundbreaking research and provides a forum for collaboration and intellectual discourse. IMA visitors from across academia, industry, and government labs develop new insights and create connections. New directions are forged across disciplines. The IMA identifies rapidly developing areas of research and uses its unique position to communicate the valuable impact of mathematical research on people’s lives. Donor funds are used to facilitate these efforts, from public lectures and directorships to building the Math Wall installation and other renovation projects to funding the IMA Prize, supporting K-12 outreach activities, and more. Your support ensures that the IMA remains one of the most innovative institutes in the country. Make a donation today to one of three available funds. To learn more about giving opportunities available, please contact Anastacia Quinn Davis, external relations, at 612-625-4509 or aqdavis@umn.edu. The IMA appreciates your continued support. This fund supports the IMA’s public outreach efforts. This fund was established by an initial gift from the Arnold Foundation to support the IMA in its activities to increase the impact of mathematics by fostering interdisciplinary mathematical research and to further the public’s understanding of the contemporary impact of mathematics. 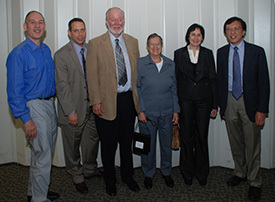 Created in 2009, this fund supports the IMA’s public outreach efforts, including the annual IMA Arnold Family Lectures. This fund supports an endowed IMA directorship. This fund is named after Eugene E. Fabes, former head and professor of the School of Mathematics at the University of Minnesota. Fabes was a well-loved friend and supporter of the IMA, and the fund is aptly named in his memory. An initial gift to start this fund was provided by Donald and Phyllis Kahn. The fund supports programs and activities at the discretion of the IMA director. 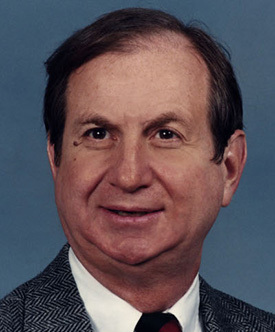 This fund was created in honor of IMA’s founding Director Hans Weinberger, who served from 1982 to 1987. It may also be used to fund new initiatives that support the IMA’s mission. 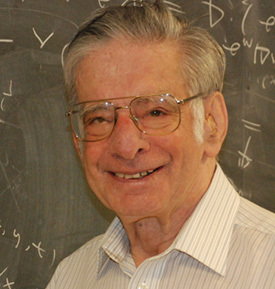 Weinberger is well known for his contributions to partial differential equations and fluid dynamics.